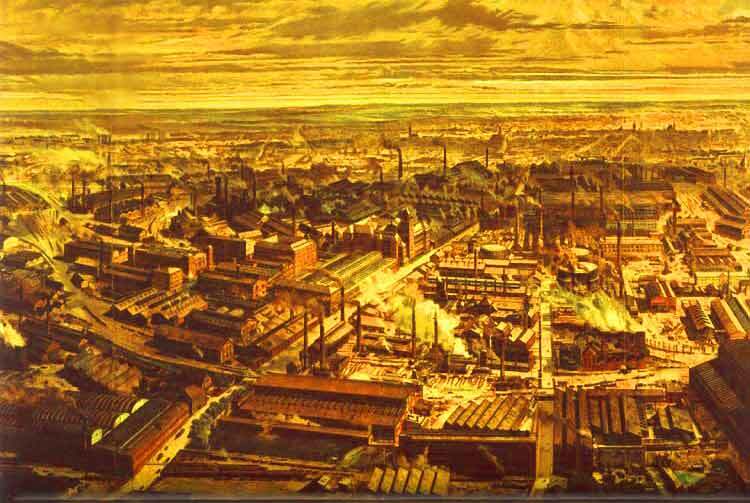 When writing about civilization I have started using the term “industrial-technological civilization” as I believe this captures more accurately the sense of what is unique about contemporary civilization. In Modernism without Industrialism: Europe 1500-1800 I argued that there is a sense in which this early modern variety of civilization was an abortive civilization (a term used by Toynbee), the development of which was cut short by the sudden and unprecedented emergence of industrial-technological civilization (an instance of preemption). I also discussed this recently in Temporal Structures of Civilization. What I am suggesting is that the industrial revolution inaugurated a novel form of civilization that overtook modernism and essentially replaced it through the overwhelming rapidity and totality of industrial-technological development. 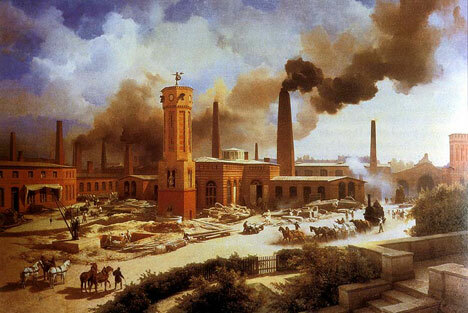 And while the industrial revolution began in England, it was in nineteenth century Germany that industrial-technological civilization proper got its start, because it was in Germany that the essential elements that drive industrial-technological civilization came together for the first time in a mutually-reinforcing feedback loop. The essential elements of industrial-technological civilization are science, technology, and engineering. Science seeks to understand nature on its own terms, for its own sake. Technology is that portion of scientific research that can be developed specifically for the realization of practical ends. Engineering is the actual industrial implementation of a technology. I realize that I am introducing conventional definitions here, and others have established other conventions for these terms, but I think that this much should be pretty clear and not controversial. If you’d like the parse the journey from science to industry differently, you’ll still come to more or less the same mutually-reinforcing feedback loop. The important thing to understand about the forces that drive industrial-technological civilization is that this cycle is not only self-reinforcing but also that each stage is selective. Science produces knowledge, but technology only selects that knowledge from the scientific enterprise that can be developed for practical uses; of the many technologies that are developed, engineering selects those that are most robust, reproducible, and effective to create an industrial infrastructure that supplies the mass consumer society of industrial-technological civilization. The process does not stop here. The achievements of technology and engineering are in turn selected by science in order to produce novel and more advanced forms of scientific instrumentation, with which science can produce further knowledge, thus initiating another generation science followed by technology followed by engineering. 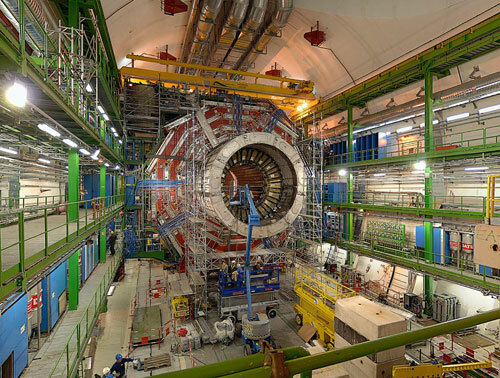 Big science is made continually bigger by the relentless expansion of industrial-technological civilization. Because of this unique self-perpetuating cycle of industrial-technological civilization, continuous scientific, technological, and engineering development is the norm. It is very tempting to call this development “progress,” but as soon as we mention “progress” it gets us into trouble. Progress is problematic because it is ambiguous; different people mean different things when they talk about progress. As soon as someone points out the relentless growth of industrial-technological civilization, someone else will point out some supposed depravity that has flourished along with industrial-technological civilization in order to disprove the idea that such civilization involves “progress.” The ambiguity here is the conflation of technological progress and moral progress. How many poets today believe that they will improve upon the work of Shakespeare? It is often said that poets only hope to produce poetry as good as that of past poets, and few imagine that they will create something better than Homer, Dante, Chaucer, or Shakespeare. The standards of poetry and art were set high early in the history of civilization, so much so that contemporary poets and sculptors do not imagine progress to be possible. One can give voice to the authentic spirit of one’s time, but one is not likely to do better than artists of the past did in their effort to give voice to the spirit of a different civilization. Thus it would be difficult to argue for aesthetic progress as a feature of civilization, much less industrial-technological civilization, any more than one would be likely to attribute moral progress to it. Given the dubiousness of moral progress, the absence of aesthetic progress, and the bad reputation of history written to illustrate progress, historians have become predictably skittish about saying anything that even suggests progress, but this has created an historiographical climate in which any progress is simply dismissed as impossible or illusory, but we know this is not true. Even while some dimensions of civilization may remain static, and some may become retrograde, there are some dimensions of civilization that have progressed, and we need to say so explicitly or we will misunderstand the central fact of life in industrial-technological civilization. Thus I will assert as the Industrial-Technological Thesis that technological progress is intrinsic to industrial-technological civilization. (I could call this the “fundamental theorem of industrial-technological civilization” or, if I wanted to be even more tendentious, “the technological-industrial complex.”) I wish to be understood as making a rather strong (but narrow) claim in so asserting the industrial-technological thesis. More particularly, I wish to be understood as asserting that industrial-technological civilization is uniquely characterized by the escalating feedback loop of science, technology, and engineering, and that if this cycle should fail or shudder to a halt, the result will not be a stagnant industrial-technological civilization, but a wholly distinct form of civilization. Given the scope and scale of contemporary industrial-technological civilization, which possesses massive internal momentum, even if the cycle that characterizes technological progress should begin to fail, the whole of industrial-technological civilization will continue in existence in its present form for quite some time to come. Transitions between distinct forms of civilization are usually glacially slow, and this would likely be the case with the end of industrial-technological civilization; the advent of industrial-technological civilization is the exception due to its rapidity, thus we must acknowledge at least the possibility that another rapid advent is possible (by way of another instance of preemption), even if unlikely. The industrial-technological thesis has significant consequences. Since civilizations ordinarily develop over a long time frame (i.e., la longue durée), and industrial-technological civilization is very young, we can likely expect that it will last for quite some time, and that means that escalating progress in science, technological, and engineering will continue apace. The wonders that futurists have predicted are still to come, if we will be patient. As I observed above, even if the feedback loop of technological progress is interrupted, the momentum of industrial-technological civilization is likely to continue for some time — perhaps even long enough for novel historical developments to emerge from the womb of a faltering industrial-technological civilization and overtake it in its decline with innovations beyond even the imagination of futurists.